This is the Official Blog of Navi Mumbai's fastest growing web marketing company, DigiHost Web Services. It’s a big question. What could be the best marketing strategy for a business ? Today, competition is very tough. In such competitive market it’s very difficult to decide the best marketing strategy. There are number of marketers and they all are using their own method, their own strategy, their own plan. But who is the best ? Even I got confused with regards to this. There are various strategies which are being used by marketers. So, what exactly works for a new firm with limited funds ? Actually, big players are also there so they may have their different opinion but I believe that there is no specific method for marketing. Marketing is not science. It means there is no such rule that if you perform particular task you will get the same results. It means you do not need to learn and apply any formula here, you only need to use and apply your brain. Marketing starts with your thinking as you make others to think what you want them to think. Marketing is quite similar to a movie. As a marketer is a director, then he also get a content writer, who you can compare with the script writer, there is financier, there is a complete team and then there is audience who are unaware of our movie and our characters. So, here a marketer needs to visualize first that what he or she wants to make audience realize. Then the audience can understand about our product or service and accordingly may decide to go on with our product or service. Finally, the best marketing practice is the one which works. You need to try different methods number of times and the one you feel which works the best is the best marketing practice. Your best marketing method could be worst for another marketer and yours worst method may work as the best marketing practice for some other marketer. So, just concentrate on the quality of your service or product and then focus on what works best. Keep experimenting with new ideas. And, the best marketing practice is one which brings best results. So, focus on that. Marketer needs to use his or her brain rather than asking others. There is no specific rule for marketing. You need to create your own. The best marketing practice is the one which actually works. Find out that. You might be interested in knowing how you can grow your business digitally. Click here, for FREE Online Business Development Consultation. If you still don't have a website, get one today. Know More ! Got any question ? Do ask. Submit your question in the comment box below or you can directly mail at alkesh@digihost.in. Thank you for reading. SEO is a process of making your web pages or your website search engine friendly. Like when you start a business, you tell about it to your friends, you publish few ads in magazines etc., you get referrals and so on. In the same way we make others aware about your virtual office in the digital market. It includes various tasks which help in rank up your website in search results. This helps you in getting more traffic to your website. SMM is another platform to interact with the audience. Examples of SMM are Facebook, Twitter, Instagram, LinkedIn, Google+ and lot more. This is a place where a large number of audience is available. Its very easy to interact with them here. 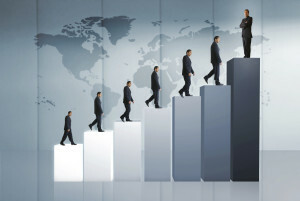 From here a business may drive a large traffic to its website. It also helps in building customer loyalty. Millions of websites are there on internet. And, its not easy to get your website in the top search results. It takes efforts in getting your website in top 300 positions. So, here SEM is something which makes it easy for your website to bring at the top position. Its paid adverting but as for a new business, its effective to get more visitors to your website. 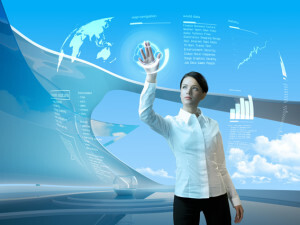 Online Reputation Management itself is a process which includes many different things to build your positive reputation digitally. Its simply a process where we work on creating a positive relation of your business with the people around. Every time people do not look for something to purchase online. Many times they even want to get some information. So, blogging is a great way to spread information to the world and to connect with the people. You can also post news and updates about your company or your business in your blog. Email marketing is a wonderful method of spreading news, update, a new discount or offer to the mass audience in just one click. You don’t need to put much efforts here. You will only need to put efforts to create a mailing list. But, you don’t need to wait for 100 or 1,000 or 10,000+ subscribers in order to start email marketing. You can even start it with 10 subscribers, it keeps on increasing. You must be aware about YouTube. I believe I don’t need to introduce what YouTube is but still YouTube is the world’s 3 most visiting website after Google and Facebook. Basically, YouTube is a video sharing platform. Through video marketing you can connect to a large number of audience. And, here there are highly chances for you to go viral. Branding includes almost everything. Branding means turning your business into a brand through the use of various digital marketing tools. Today people run behind brand, so even you may want to develop your brand. Success of your business over internet is slow but it’s permanent. Here, first you need to build trust, then you generate revenue. There are various methods available for growing your business digitally. When somebody starts thinking about setting up a business, the very first thing that person thinks about is the office or a place to run the business. Office is a place where we conduct meetings, communicate with our clients or where various business tasks are performed. In the same way there is one digital world and there we set up our virtual office i.e. our website. Websites play the role of virtual office. On our website we provide all the information of our business. We also provide contact details, 24×7 query form, sometimes we create an online payment system which makes it easy for our clients to do the payment anytime through out the day. As most of the people are becoming the part of this digital world, so even for us it’s important to be there. Because, if our competitor is there and we are not there so it means we will loose our potential customer, which actually nobody wants. And, only setting up a luxurious office is not so important, getting visitors and converting them into customers is even more important. So, don’t just invest in good design. 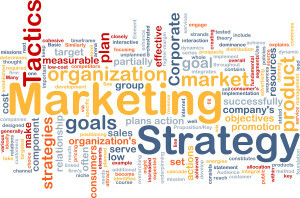 Also think about the best marketing strategy or plan which can help you in generating more business. If you don’t know, you can always ask DigiHost Web Services for this kind of help. A website is your virtual office. It needs to be maintained properly like your normal office. After creating your virtual office i.e. your website, you need to make people aware about your business on the digital world. If you don’t want to loose customers from digital market, get your website today. Don’t just look for design. Design and look are important, but you also need to consider a well working business plan to grow your business. Now a days, it has become a trend for all the businesses to have a website. Actually, there is no such rule that it is mandatory to have a website for a business but it does play a vital role in modern marketing. To know how website is important in modern marketing, Click Here. Now, we start with the objectives of creating a website. There are two kind of people and both have their different view regarding website. One kind of people feel to have a website is important because there remains a space in visiting card. They can utilize that space by printing their website. Also, everywhere they are asked for a website. So, they just get it done. They feel it’s another method to show off. Just like a newspaper, whether you read it or not but it comes in your office. The same way they create a website. Visitors come or not, they get leads or not, nothing matters. The only thing what matters is it’s the trend so they need a website. And, most of Indian businessmen have that mindset. Now let’s talk about the rest of the businessmen with another kind of mindset. They feel website helps in generating business. But, what to do for that, they are not aware of. They approach to a web designer asking to create a business website for them. But in the general sense a business website means ‘a website of a business or a company containing information about that business or the company which includes information about the business, the products or the services information, contact details and address etc., no personal information.’ That’s all. But, in reality a business website means a website which can help you in generating business. If it doesn’t, there is no use of having a website. A website is like your virtual workplace or virtual office. (Read about Virtual Office) And, it doesn’t make any sense that you invest in an office where nobody comes. So, always take this decision to create your website wisely. Don’t just look for a website developer, approach to a business developer like DigiHost Web Services. Business Developer helps you in showing different methods of online marketing. Don’t just think about creating a website, create a business website. Websites are important if you want to compete with the modern marketers. Don’t take it as a trend, Websites are another major tool of marketing. Always create a business website for your business, not with the objective to print it on your visiting card. It’s not a newspaper, it’s a powerful marketing tool. Take its benefits. Business website means a website which generates business for you, not one which have all premium website features. Even the most expensive office is useless, if visitors don’t come there. Last but not the least, approach to an online business developer like DigiHost Web Services instead of just a website developer. It’s shocking when I see still there are so many businesses which do not have a website. Though there are so many reasons for why you need to have a website. I don’t know what the reason they find for not creating the website. Lots of people feel that website is an expensive stuff. Its only required by the big companies or businesses. Small or local businesses don’t need a website. But, its required for the marketing purpose and that too its not so expensive that a small or local business can’t afford it. Today, you may even get a website for a small business for Rs. 1,999/- INR only. 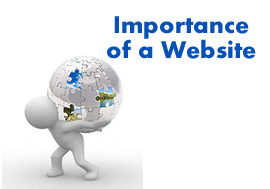 Another importance of having a website is that it’s available round the clock. There is no specific timing for a website that it opens only for these many hours. It’s open 24x7x365. Whenever a person wants can visit your website and can take whatever information he wants. When 80% of people look for local businesses online, it means if you don’t have a website you are in the 20% segment, which means chances for you to get customers is from that segment only. It means you are loosing 80% potential customers. Why you people want to be in that segment ? Your website helps in developing your brand. It brings professionalism. It creates trust in the mind of the people. Your testimonials or case studies on your website definitely helps them in understanding you and your business. Your customers are updated with the latest news and information. Every time they don’t need to ask you about if anything new is there. They simply need to log on to your website and they can catch all the latest information there. Another benefit of having a website is this that it connects you to the world. Once you have a website, you are no more local. Even you can proudly say that you are running an international business. You get a wide market. You can sell your products or services wherever you want. People will prefer sitting at home and checking for various products in various digital shops rather than going out, checking out into various shops in the market. Even I prefer the same. Its another advantage for businesses of having a website. They can provide FAQs, Question and answer forum, an online query form, live chat, email etc. These are various things which make it easy for people in case when they need your support. Digital market gives us an option of targeted marketing. This is where we can reach out to our targeted audience. And, marketing over internet is quite inexpensive as compared to other medias. Here, you can start even with a very small budget. Its very important for businesses to have a website. Its not expensive, it’s in your budget. Most of the people search online for local businesses and we also need to be there. It’s a good idea of targeted marketing.